BEAUTIFUL PROPERTY! If you’re looking for the perfect place to build a small ranch, this is it! This 36.51-acre tract sits off FM 2633 in the 1500 block, approximately 1 mile from the Latexo schools, and is centrally located between Crockett and Grapeland. 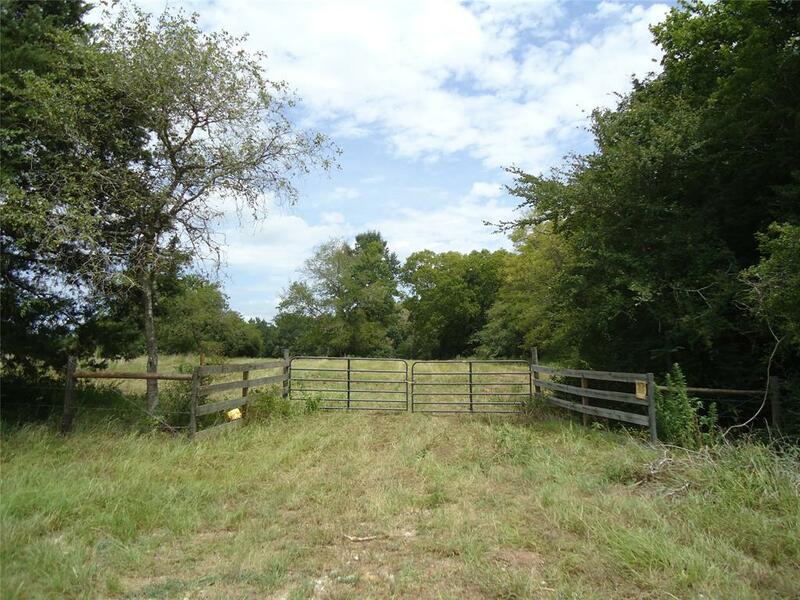 This property offers 10+/- acres of open pasture, and the remainder mixed woods. There is a wet weather creek on the east side of the property that runs north to south. This a quiet area with lots of wildlife! Electric and water are available at the road and the owners have a recent survey. Call us today to see all this property has to offer! © 2019 Houston Realtors Information Service, Inc. Information is provided exclusively for consumers' personal, non-commercial use, and may not be used for any purpose other than to identify prospective properties consumers may be interested in purchasing. All information provided is deemed reliable but is not guaranteed and should be independently verified. Listing courtesy of Lawrence Realty.